Stadio Adriatico – Giovanni Cornacchia is a football stadium located in the Province of Pescara within the Abruzzo region of Italy. 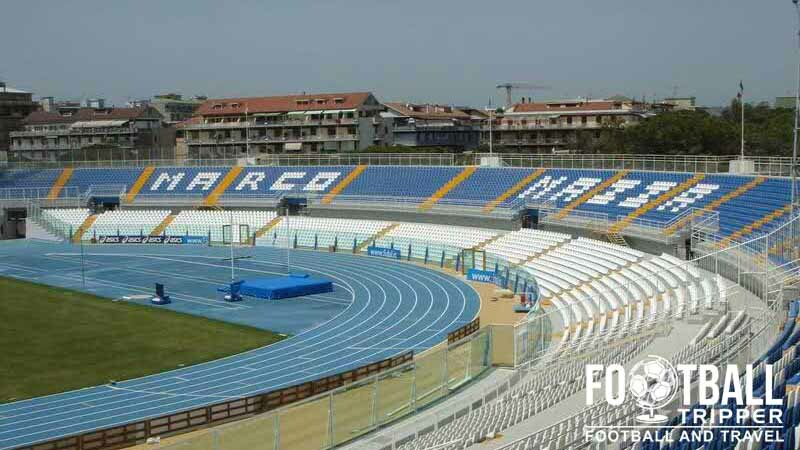 Named after the nearby Adriatic sea, the 20,476 capacity ground is home to Pescara Calcio who consistently hop between Serie A and Serie B, and was recently renovated in 2009 for the Mediterranean Games. Stadio Adriatico first opened in 1966 and was designed by Italian architect Luigi Piccinato to be an multi-purpose athletics stadium in the mould of Stadio Olimpico in Rome. Following the popular designs of the day, it consists of single-tiered stands capable of seating 10,000 supporters and was used to host football matches of 1960 Summer Olympics. 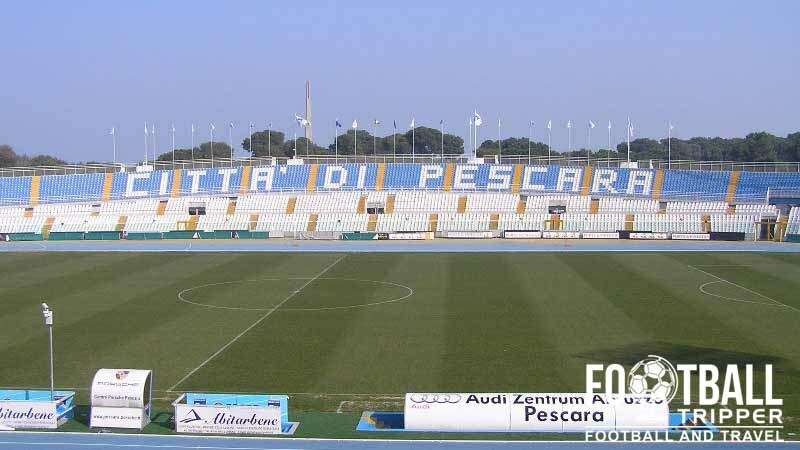 The Adriatic Stadium remained relatively unchanged until 1977 when Pescara Calcio earned promotion to Serie A. Anticipating larger crowds, an additional tier was added to the stands and the two curvas were widened which brought the capacity up to 34,000. The capacity peaked at 40,000 in the 1980s but after the Heysel Stadium Disaster, the amount of fans permitted to enter the stadium was significantly reduced amid safety concerns. Whilst it has hosted several International matches of the Italian National Team, it failed to host any matches of Italia 90 as it was only selected as a back-up stadium. 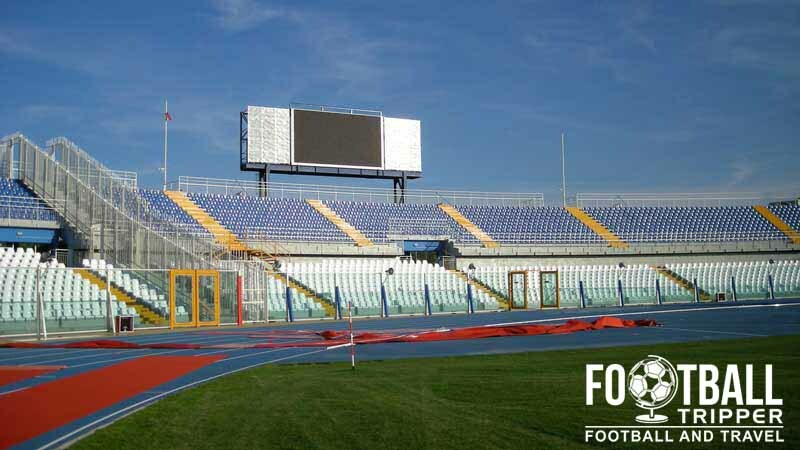 Slow becoming dilapidated, a new lease of life was breathed into the stadium when Pescara was chosen to host the 2009 Mediterranean Games. 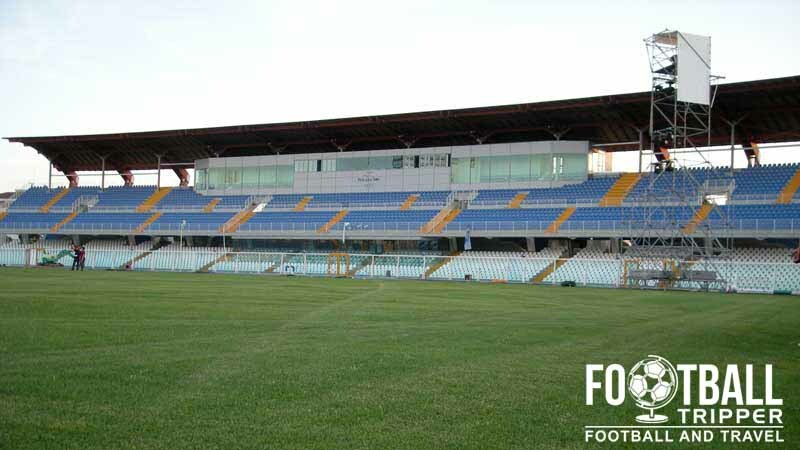 The local council invested over €15,000,000 into refurbishing the stadium, and a vibrant 24,400 capacity ground was created similar to that of UD Almeria. On October 22nd 2009 it was announced that the stadium would be partially renamed in honour of Giovanni Cornacchia who was a popular hurdler and Athlete from the local area. The full name is now officially Stadio Adriatico – Giovanni Cornacchia. 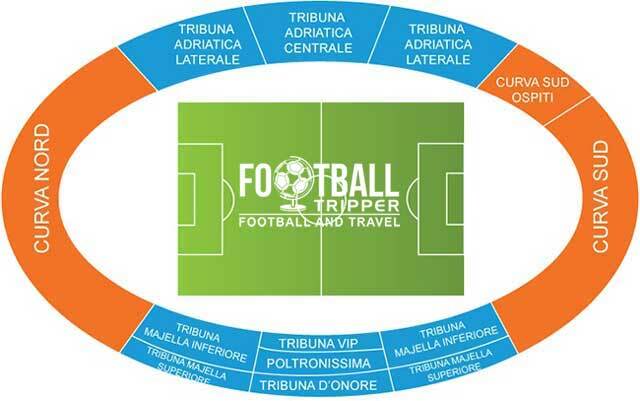 Stadio Adriatico is comprised of four stands: North, East, South and West.